These tables accommodate clamp on bar top. 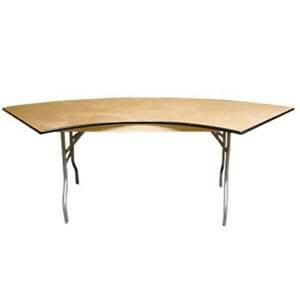 Table top outer dimensions are 84" x 30" x 38". Table height is 30" tall. * Please call us for any questions on our table 6 foot 3 inch bar serpentine wood top rentals serving Greater Lansing, East Lansing, Okemos and Haslett.